Our Adventure Themed puzzle comes complete with a bear and mountain piece. You can add two names to this puzzle it will hold up to 22 letters, 11 per line. It is hand painted in mint, navy, primary green, brown and grey for a great adventurous color scheme. 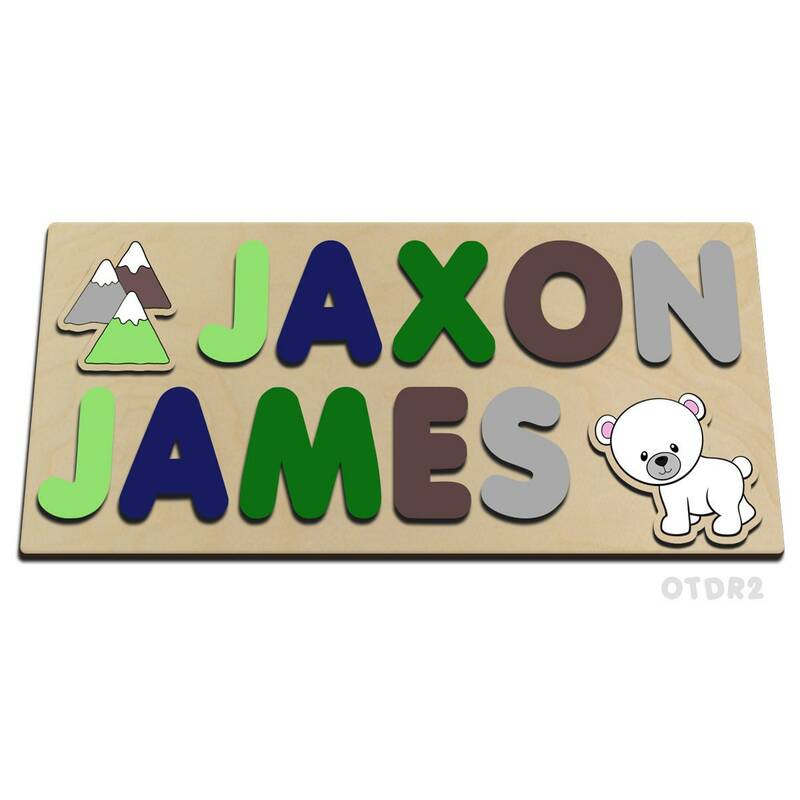 Our puzzles pieces have wood burned lines that are crisp and clean, and are hand painted by only painters that meet our high standards of quality in craftsmanship. These are not cheap appliqued pieces that peel after a few uses. Our puzzle pieces will hold up to normal childhood play for years to come.